Today I wanted to share a smoothie with you I’ve been enjoying the last few days. 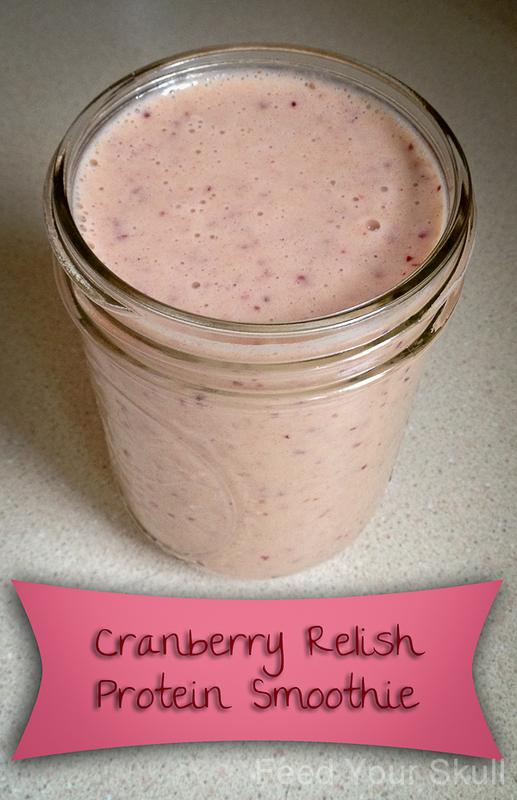 A cranberry relish protein smoothie! 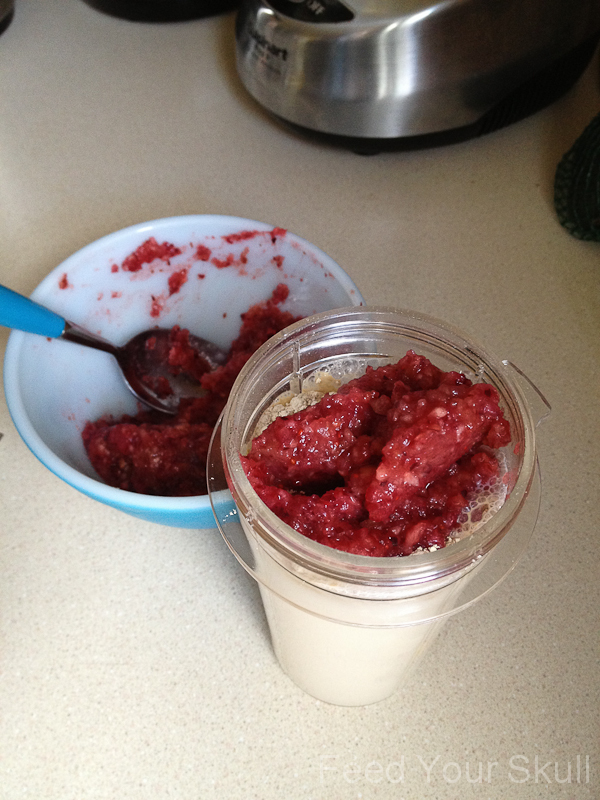 I made an awesome mostly raw (depends on what you think of jarred ‘just apples’ applesauce) cranberry relish tuesday night and besides eating the leftovers, I have loved adding to my morning smoothie. The cranberry relish creates beautiful flecks of deep red throughout the creamy drink. Feel free to make it green by adding a handful of spinach or a favorite green powder supplement. 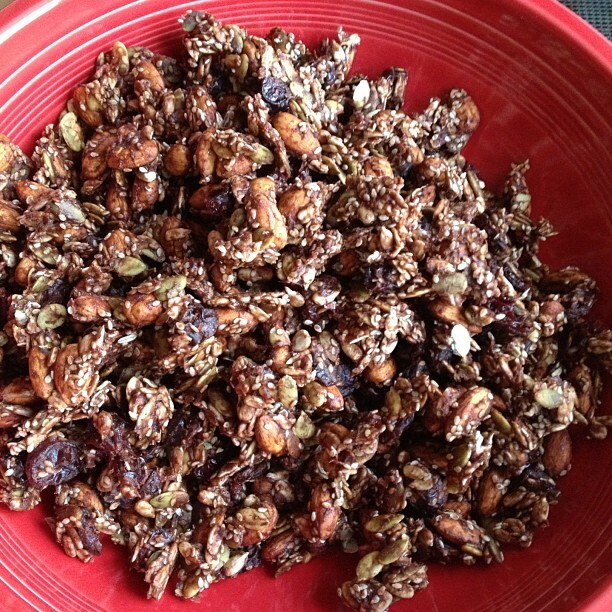 Look forward to a Banana Chocolate Cherry Trail Mix tomorrow and enjoy using your leftovers!